As the skin ages it becomes wrinkled because the body is not able to repair molecular damage. The surface of the skin is covered with flattened cells which contain keratin, which give the surface the sense of touch, makes it resilient and water resistant. Do Wrinkle Treatments with Curry Work? Over time, as cells slough off and are replaced by newer cells while underneath in the dermal layer, collagen production declines and fibers become loose which results in wrinkles and sagging skin. A moisturizing facial cream which contains Indian curry will have a distinct scent, flavor and a deep, rich orange or mustard yellow color. The main ingredient in curry is turmeric, which has a long history of being used in Ayurvedic medicine and is known for treating a variety of different conditions. Curry has both anti-inflammatory and antioxidant properties; which mean that it could possibly fight the signs of aging. Until recently, turmeric had such an intense color and pungent odor that it was not possible to use it in skin moisturizers and ointments. However, once it was purified it became colorless and odorless and when used on the skin to fight wrinkles, the results are very promising. In a study involving 89 Caucasian women aged 40-60, creams containing turmeric and Niacinamide were applied to the skin for a period of two times daily for eight weeks, researchers found 15% of subjects reported a reduction of wrinkles and fine lines. Another study highlighted on 105 Asian females aged 25-55, showed that a moisturizing cream containing turmeric alone dramatically reduced age spots by an average of 15%, within an eight week time period. Before-and-after images were fed into a computer and the images compared darker skin pigment and aging spots and showed changes in the tone, size and color of age spots. Early studies suggest that curry wrinkle treatments containing turmeric may be a promising addition to the world of anti-aging products. While using wrinkle creams containing curry can be a benefit for some, not everyone will be so lucky. As with any type of skin moisturizer, cleanser or ointment, a topical preparation containing curry could cause side effects for some individuals. Side effects of curry creams can include itching, clogged pores, redness, irritation, inflammation and dermatitis. If any of these side effects are experienced, it is advisable for the person to seek treatment from a dermatologist if discontinuing the cream fails to alleviate the symptoms. Read More: Best Anti-Wrinkle Cream - Is There a Solution? When most people think of curry, it evokes thoughts of a pungent, yellowish spice used in traditional Indian cooking. However, researchers have done numerous studies which prove just how beneficial the spice can be when used in wrinkle creams and anti-aging ointments. Wrinkle treatments with curry can either be purchased from a cosmetics department or there are various home recipes to be found on the internet. 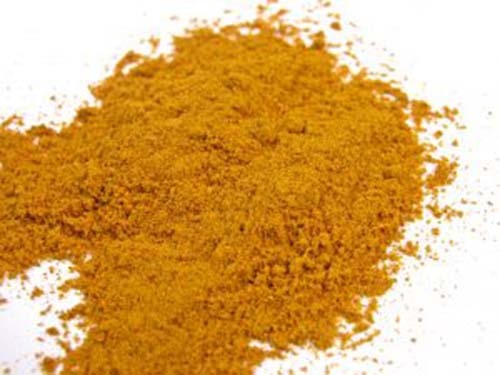 Curry is loaded with antioxidants and is a natural astringent. When seeking an alternative to costly creams which promise dramatic results, the best option to explore may be a curry wrinkle cream. Be Careful of Your Lipstick Choice. It May Cause Miscarriage or Even Infertility.